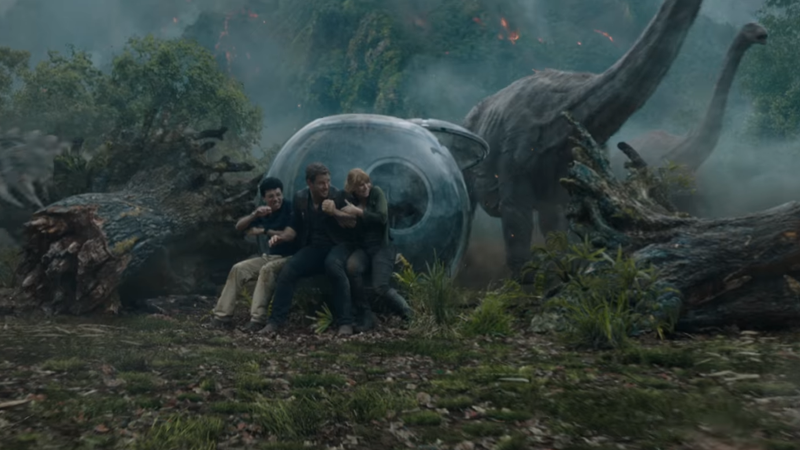 We're a day away from the release of the Jurassic World: Fallen Kingdom trailer. But, before that momentous event unfolds to eager fans across the globe, why not check out this exciting behind the scenes featurette giving us a first hand look at what's coming in the fifth installment of this multi billion dollar franchise! Join Chris Pratt, Bryce Dallas Howard, J.A. Bayona, Colin Trevorrow and others for an exclusive first look behind the scenes of Jurassic World: Fallen Kingdom... and hold on to your butts for some seriously cool surprises in the process! Starring Chris Pratt, Bryce Dallas Howard, BD Wong, Jeff Goldblum, Ted Levine, James Cromwell, Raff Spall, Toby Jones and Justice Smith, Jurassic World: Fallen Kingdom stomps into theaters on June 22nd, 2018.